With the changes that have taken place to the National Curriculum for science, the investigations that children should experience have broadened and become a key part of the curriculum necessary for the development of knowledge and understanding. 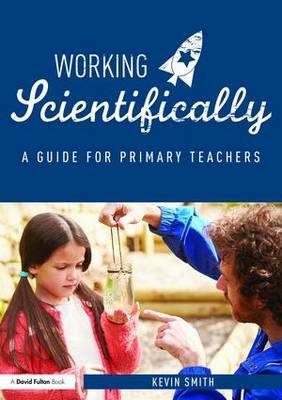 Working Scientifically is a comprehensive guide that will help primary teachers develop their skills, improve their practice and nurture Ã¢Â€Â˜working scientificallyÃ¢Â€Â™ in the classroom. This book provides teachers with the tools and resources that are necessary for teaching science in a fun and exploratory way. Focusing on individual skills, it provides scientific activities in a number of different contexts. It explores each skill multiple times to help pupils progress through the age-related expectations and emphasises teaching through exploration, questioning and dialogue. Full of practical resources such as planning materials and assessment sheets, Working Scientifically will be an essential guide for all qualified and trainee primary teachers wishing to develop their practice in this essential area of the Science curriculum.